Visit an indoor pool (25x16.7m) and a children's pool (6x9m), a separate relaxation centre (within the swimming stadium) – a Finnish sauna, a steam chamber, massage and cooling showers, whirlpool etc., and–in the summer season–also an outdoor pool with water attractions – 25x16m pool, a toboggan water slide, a children's pool, a slide, a counterflow, grassy spaces, deckchairs, fast-food restaurants. Jordán water reservoir provides an option to swim in nature (50 ha, 18m max. depth). Jordán banks are freely accessible. Jordán waterfront includes wooden piers and staircases leading to the water. Families with children can enjoy a traffic playground on the bank under the malthouse, and you can get some refreshment in the Černá perla restaurant (Šafaříkova Street). 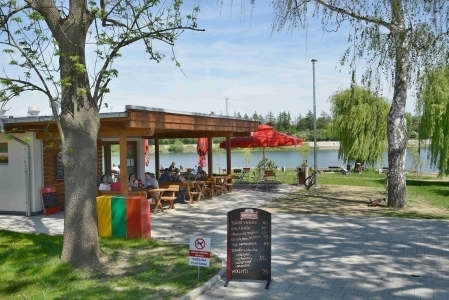 Sluneční pláž (Sunny beach) is located on the opposite bank of Jordán, in the U Stadiónu Míru Street. The beach is freely accessible and boasts a full range of equipment – fast-food restaurants, toilets, showers, park benches, picnic tables, bicycle parking racks, climbing frames, swings. In summer, you can also rent one of 4 rowboats and 1 paddle boat. 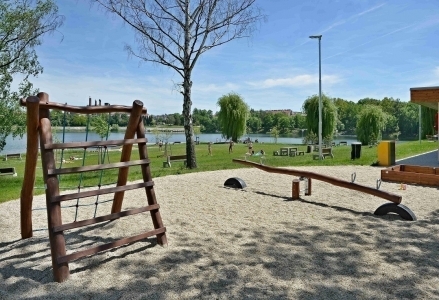 Keeper: Tělovýchovná zařízení města Tábora, tzmt@tzmt.cz, www.tzmt.cz. 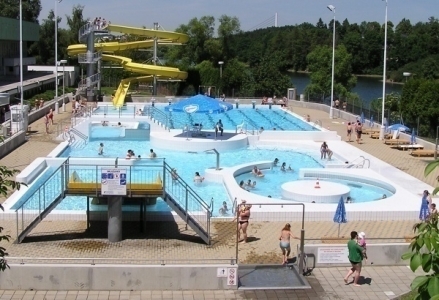 A complex of a natural swimming pool and a paddling pool includes toilets, fast-food restaurants, showers, a water slide, a merry-go-round, swings, beach-volleyball and multi-purpose courts and sports equipment rental; the complex is located in Sezimovo Ústí I., main entrance situated on the Na Mýtě Street; accessible using public transport from Tábor; approx. 600m from the nearest stop named "Sezimovo Ústí I. rozcestí". 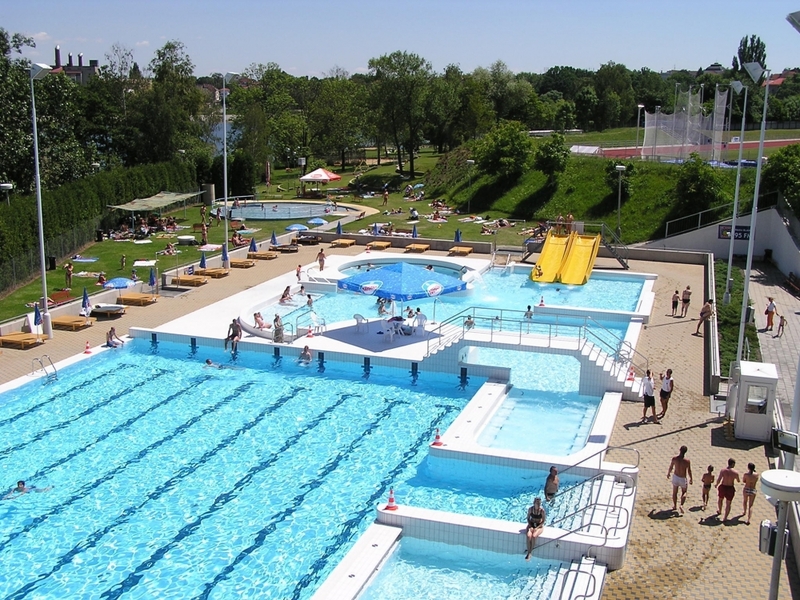 The complex with an artificial water reservoir (25x12m) which contains a paddling pool, comprises toilets, fast food restaurants, beach-volleyball and foot-tennis courts; the complex is situated on the left bank of the Lužnice River; accessible using public transport from Tábor, approx. 500 m from the nearest stop, "Planá nad Lužnicí nám.". 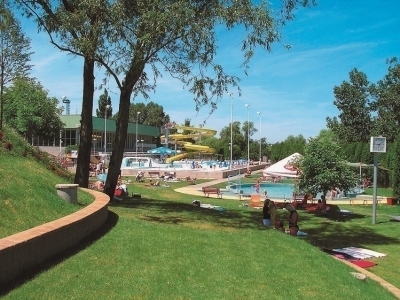 The complex with multiple interconnected pools and a paddling pool includes toilets, fast-food restaurants, showers, three slides and a children's playground. River Lužnice – the entire Lužnice River is lined with camps and sites for paddling fans. Countless cottages to rent stand on both rivers. 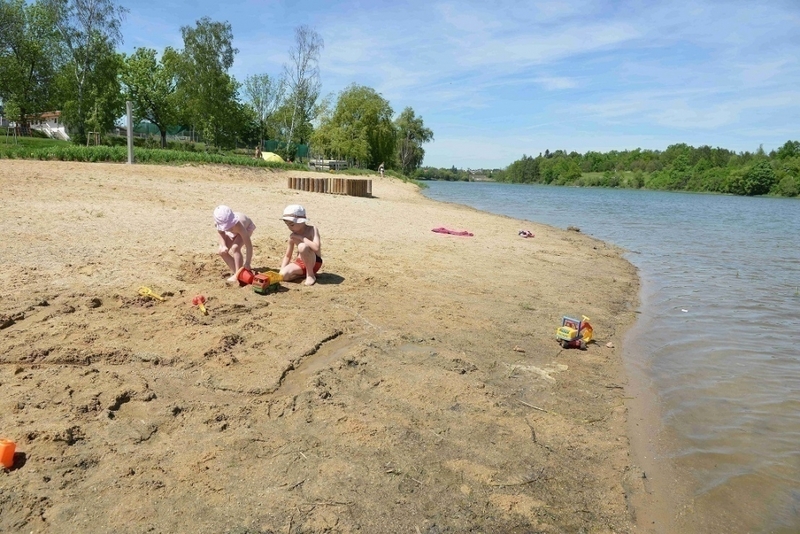 The river is fairly shallow, its bed contains mostly sand and stones, swimming is usually possible above weirs, e.g. in Planá nad Lužnicí or at Soukeník in Sezimovo Ústí.